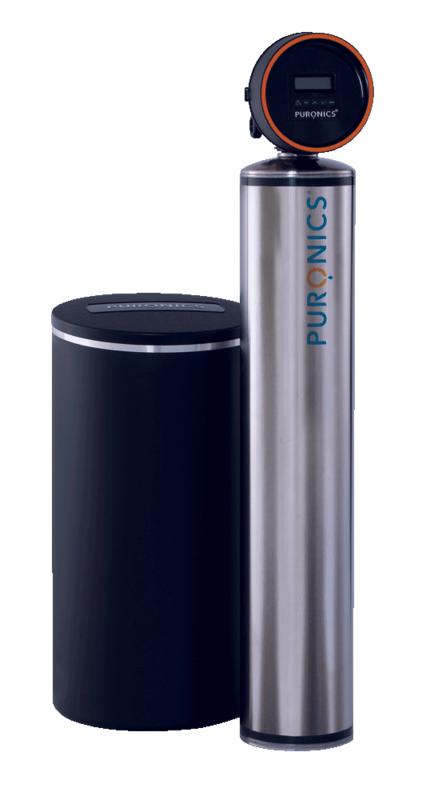 Puronics® produces a full range of drinking water and whole-house water treatment systems, all of which utilize advanced technology to ensure your family receives the highest quality water. Puronics® whole-house bacteriostatic water softeners incorporate SilverShield® Protection, which is based on NASA technology, to inhibit bacteria growth within the filter media. These systems also utilize the advanced technology of the iGen®… the valve so smart it does the thinking for you to monitor your water to optimize water quality and operating efficiency. Don’t suffer from problem water. 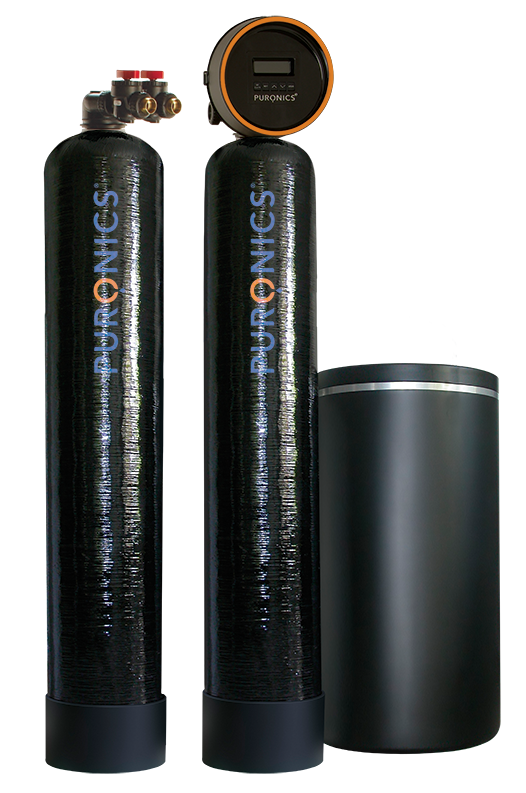 Puronics® gives you double the water treatment power. 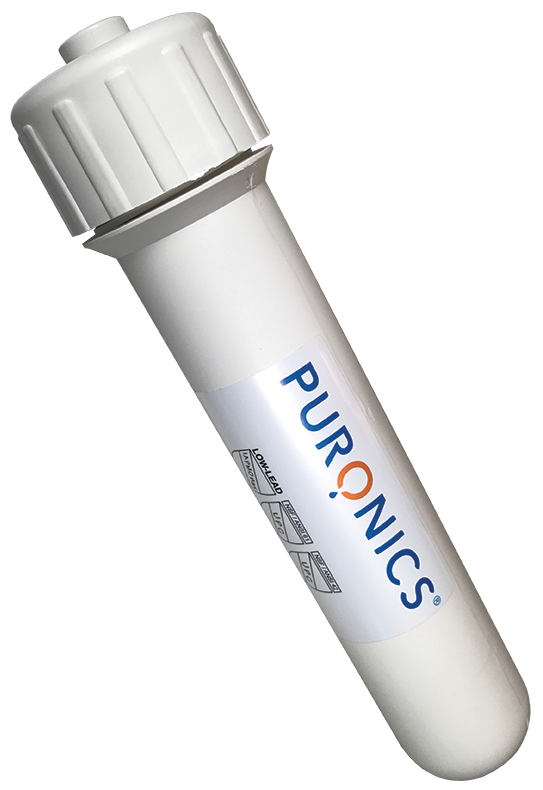 Puronics® whole-house Chlorostatic™ water softener systems are specifically designed to reduce the levels of chloramine, chlorine and hardness typically found in municipal water supplies. Our Chlorostatic™ water softener systems also utilize the advanced technology of the iGen®… the valve so smart it does the thinking for you to optimize water quality and operating efficiency. This 3-stage water treatment system with a stainless steel filter media tank will filter and soften your water for years to come. This 3-stage water softener provides all of the filtration and softening capabilities of the Terminator® C but within a multi-layer media tank. The 3-stage water softener for budget minded consumers who desire the highest quality water. Puronics® ‘Green’ solutions for whole-house high quality water with No Salt, No Potassium and No Chemicals. These systems also incorporate SilverShield® Protection – NASA Technology at work in your home. The environmentally friendly water filtration system that utilizes the intelligence of the iGen® valve to monitor your water to optimize water quality. The affordable Green solution for crystal clear water is now smarter. 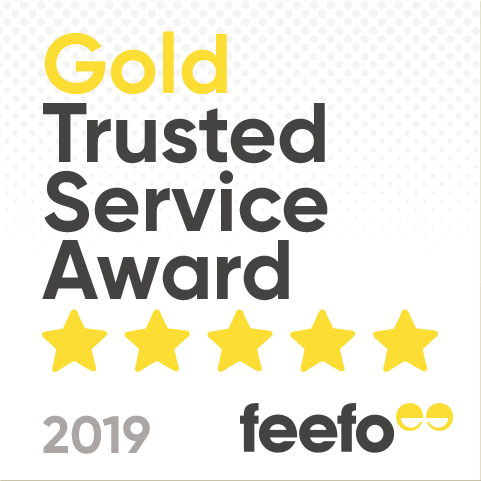 This water filter produces high quality water without the need for special plumbing for waste water while reducing scale build-up with a multi-layered filter media tank. Provides all of the water filtration benefits of the Goodspring™ BWS in a fiberglass tank for budget minded families. If you have problems with chlorine, chloramine, iron, sulfur, HAAs, or acid in your water, we can help. Puronics® produces water treatment systems customized to address your unique water issues to produce high quality water. Concerned about Chloramine in your Water? We have the Solution for Crystal Clear Water! Ideal for well water treatment, this ‘Green’ technology removes iron, manganese and sulfides to produce crystal clear great tasting water. The water treatment system that is customizable to fit your needs- chlorine taste and odor removal, acid neutralization, or sediment removal. 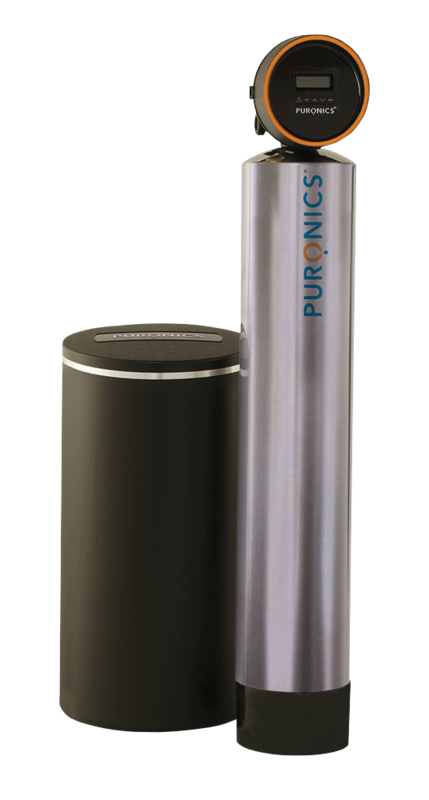 Puronics® drinking water filtration systems utilize Reverse Osmosis (RO) to produce the highest quality water for all of your family’s drinking water and food preparation, eliminating the need for bottled water. This 4-stage drinking water filtration system provides high quality water for budget minded families.